This is a custom Smuggler. 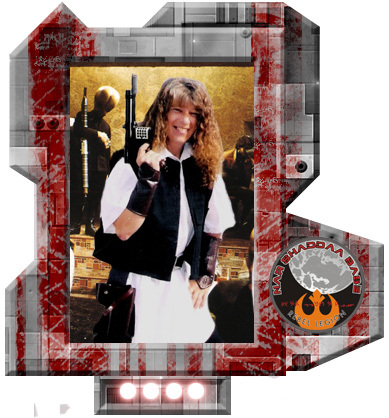 It features a canon Han Solo ANH vest with all the correct pockets that was made by myself. It also features canon Han boots. The blaster is custom made by me...starting with a metal Denix broomhandle replica. The gunbelt was made by fellow RL member Matsuo. The bracers and shirt are of my own design.